Diesel may offer better economy on paper, but that doesn’t necessarily mean it always provides the lowest overall running costs compared to a petrol equivalent. Diesel costs more at the pumps and there’s almost always a purchase premium, so it can take an unfeasibly high mileage to claw back the diesel premium in mpg savings. Here are ten of our favourite estates, with like-for-like petrol and diesel versions compared to show which is the most cost-effective over the long term. If you’d like to compare any make or model you can use our Fuel Cost Calculator. Ultra isn’t just the name of a football hooligan, it’s also the name of an especially parsimonious Audi diesel engine – a hooligan of efficiency, if you like. The difficulty in picking a clear winner here is down to the subjective stuff. 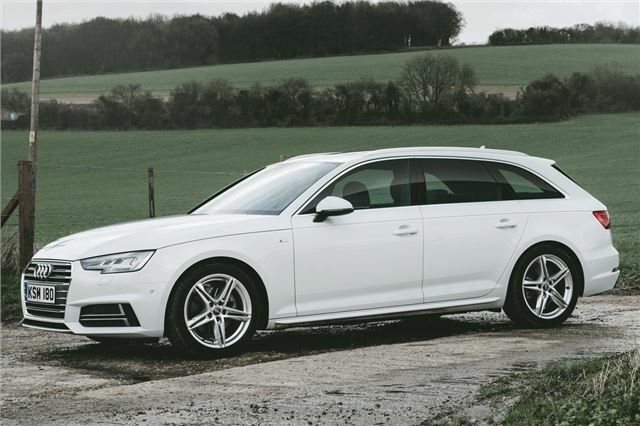 On one hand, the 190PS TFSI petrol A4 is quicker and smoother than the 190PS TDI Ultra, plus it will take diesel owners 79,000 miles to break even given the £2,350 diesel price premium. Petrol wins, right? That said, the diesel has more torque and so is better suited to the business of carrying heavy loads. And this latest 2.0-litre TDI engine is just about the quietest four-cylinder diesel you’ll ever experience. Decisions, decisions. 78,605 to break even that's assuming nothing goes wrong and you have taken into account more frequent servicing to protect the turbo, The sad fact is that modern diesels are complex and when diesels go wrong it's often very costly. Turbo failures are not uncommon, EGR valves and particulate filters that wont regenerate. Swirl devices that break and head cracks are all things to consider when the vehicle starts to gain miles. Diesels do not suit short journeys so don't consider one if you only travel a couple of miles each day. I have spent some time looking at this fuel choice and I am not convinced Just the cost of more frequent oil changes makes a big dent in any savings that a diesel may make on fuel. If I drove a taxi or a delivery van where the engine is running all day ten it would make sense. As diesel starts becoming a scourge in cities then expect this to have an adverse effect on depreciation. I currently own a diesel but my next car will be petrol if not a hybrid. I change my oil and filter every 5000 miles . I guess you take your choice.